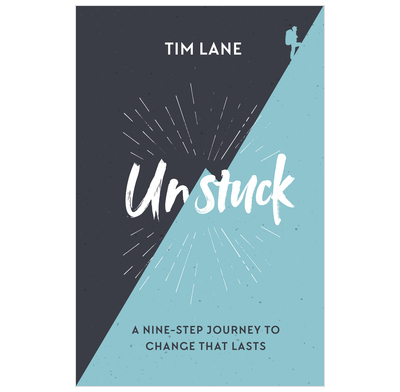 For those who are struggling with besetting sin and the corresponding tendency to despair, Unstuck is a very encouraging and helpful book. Tim's short, readable chapters combine both biblical principles and practical application to give direction to the process of ongoing change. Read it with a spouse or friend to allow time to discuss and walk through the steps slowly and thoughtfully. 'Who we are comes before what we do.' This is good news for the person who desperately wants to change, and Tim’s book is built on this solid foundation. offers practical theology to the utmost—it’s clever and compelling, and centers on Christ the whole way. I know I’ll be returning to this book when I’m feeling stuck and want to see progress in specific areas of my heart and life. We all become stuck in our Christian life at some point, struggling with the same old sins and wrong behaviours. We know that Jesus died for our sin, but so often we fail to see how that incredible truth affects our everyday struggles. Tim's short readable book brings great help, hope and encouragement for such occasions. By pointing us back to the Lord Jesus, he helps us work out step by step who we are and what is going on in our hearts in response to our circumstances and then how to change in light of the gospel. I have found the book personally helpful and can’t wait to walk others through it. I believe it will help them become “unstuck”, overcoming their struggles, as they focus on Jesus and begin living as He intended us to.